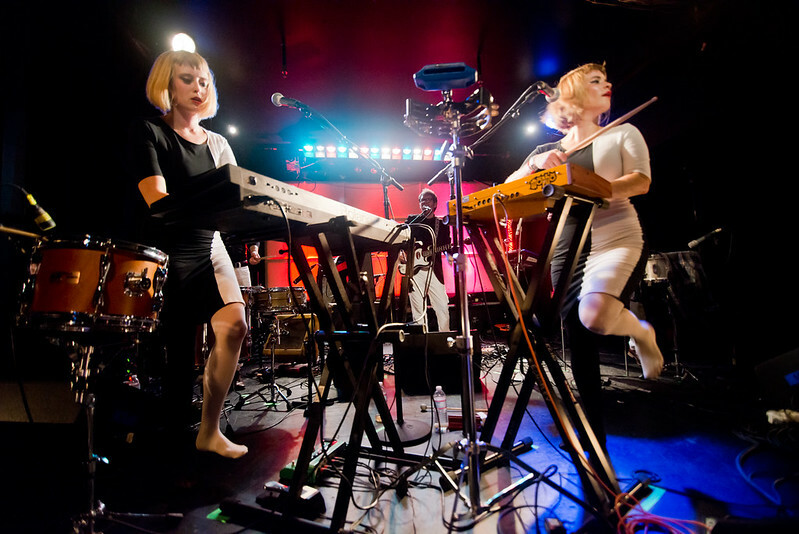 Lucius' Holly Laessig and Jess Wolfe perform at The Echo. Currently on tour to promote their upcoming debut album "Wildewoman," out Oct. 15th, Lucius has been generating a lot of buzz recenlty since they released their EP last year, getting shout-outs from music taste-makers like Time Magazine, New York Times, NPR and Rolling Stone while already playing at some of the most noteworthy music festivals like Bonnaroo, CMJ Music Fest and SXSW. Last Wednesday, the group, consisting of Jess Wolfe, Holly Laessig, Dan Molad, Peter Lalish and Andrew Burri, stopped by The Echo and performed to a sold out crowd playing songs from their self-titled EP and new songs from their upcoming album. The crowd this night was filled with music lovers young and old which is why it's not surprising Lucius has been generating quite the buzz. Their saturated textures of free-floating vocals backed by booming, soulful percussions evoke a simple era of country-folk that's infused with fresh, pop balladry that every generation will find appealing; a universal language that everyone seems to understand. They set the tone with their opener "Tempest," a sensual and infectious tune highlighting their tight and in-sync vocals which then overflowed into breezy and billowy choruses in the tender "How Loud Your Heart Gets." Lucius' Holly Laessig and Jess Wolfe new album Wildewoman drops October 15th. New songs like "Wildewoman" and "Until We Get There" deliver soft, pop melodies that echoes the wholesome sounds of Staves and the uplifting beats of HAIM. 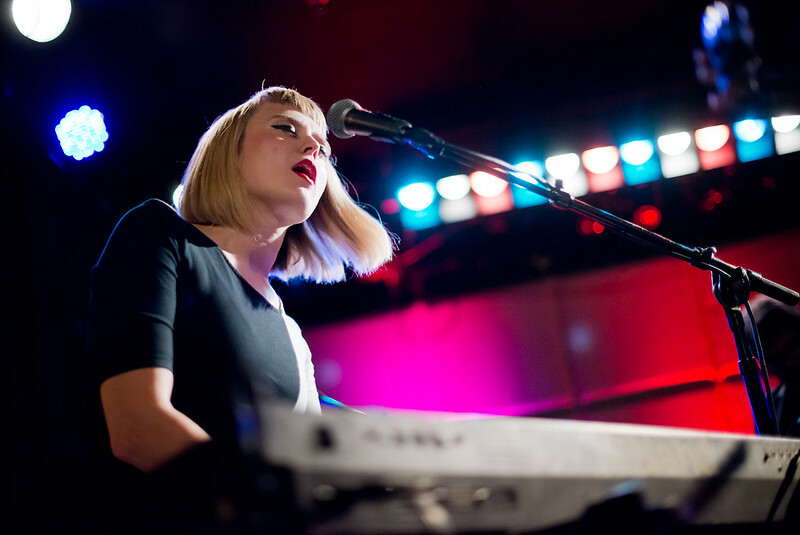 But then there's the pop, booming percussion songs like "Hey, Doreen" and "Turn it Around" that proves that Lucius can go from tranquil, folk-poetry to soaring, high altitude melodies. Of course, the highlight of watching Lucius are the tormented yet rich vocal harmonies of Jess and Holly in which they sing each song together and are showcased in their much simpler songs like "Go Home" and "Don't Just Sit There," which echoes classic Americana and country heartbreak. Lucius closed the night with a couple covers including Grimes' "Oblivion" and Paul McCartney's "Goodbye" where they walked to the floor, engulfed by the crowd. 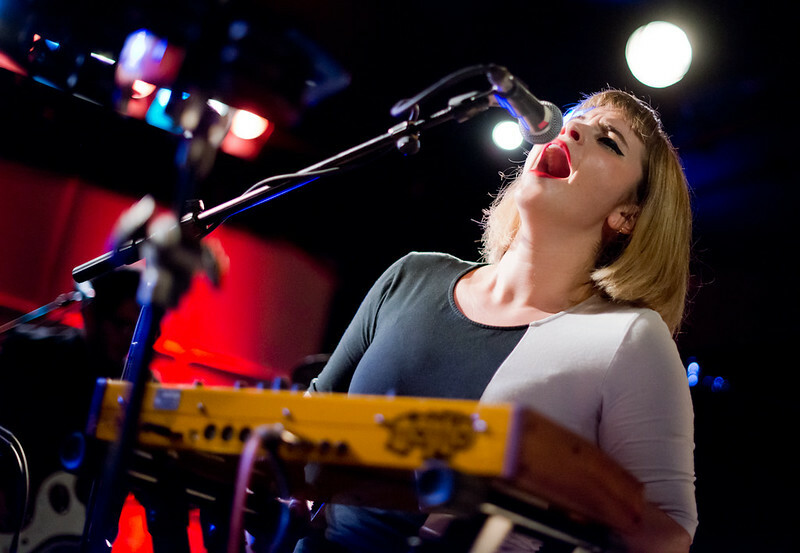 Lucius are currently on tour through December. Their new album, from Mom + Pop will arrive October 15th.